Below is the original photo used to create this image. 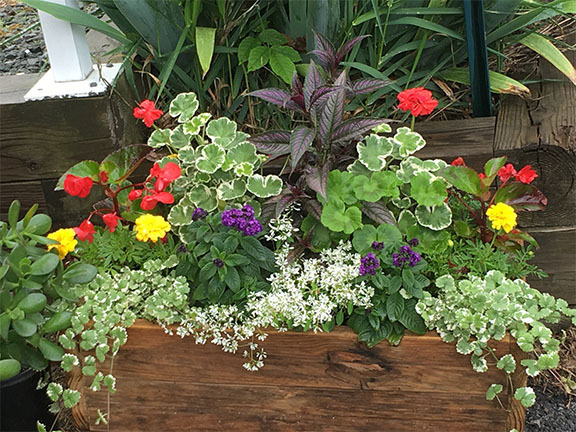 While taking a walk around Floyd, VA, my parents and I came across a farmers’ market and this fantastic flower box. 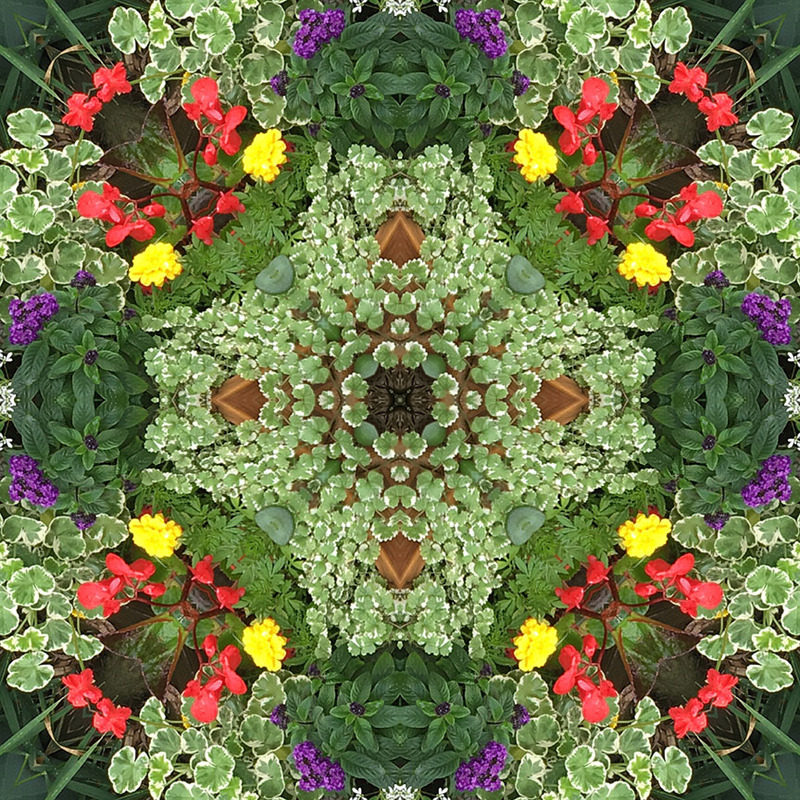 It was Mom’s favorite, so Mom, these flower-box kaleidoscopes are for you! No special lighting or retouching, just a snap from my smart phone.